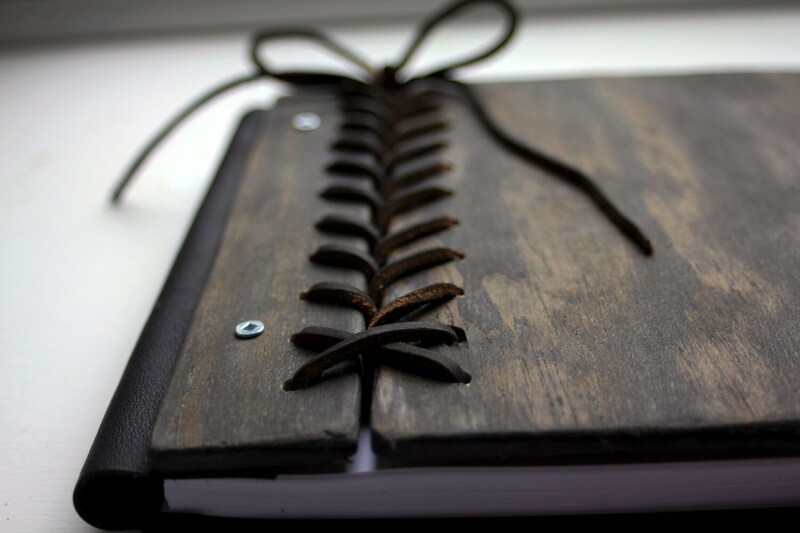 This handmade custom wooden book with leather spine and braided leather hinge is made to order from hand cut, sanded, and stained wooden sheets, and genuine leather. 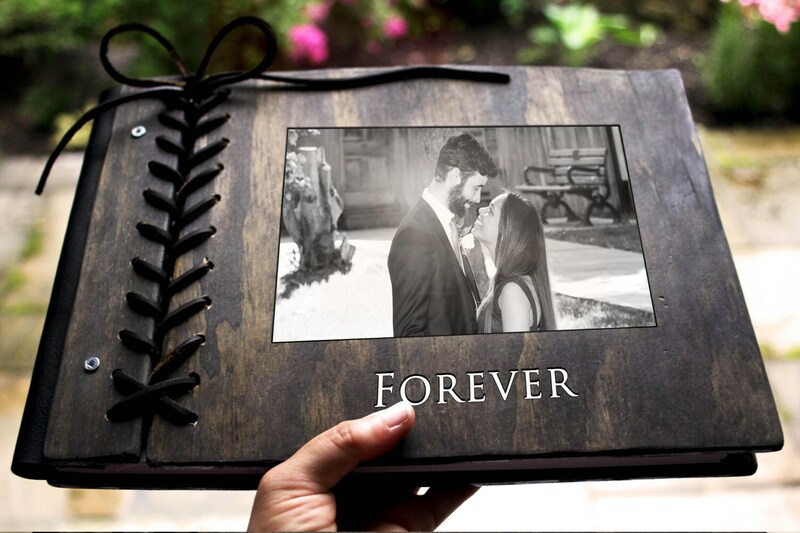 Once the book cover has been made, your name or a personalized message can be engraved into it. Your photo can be placed onto the front or back cover, just let me know where you would like it. I will send you a few layouts to confirm the design with you before beginning. 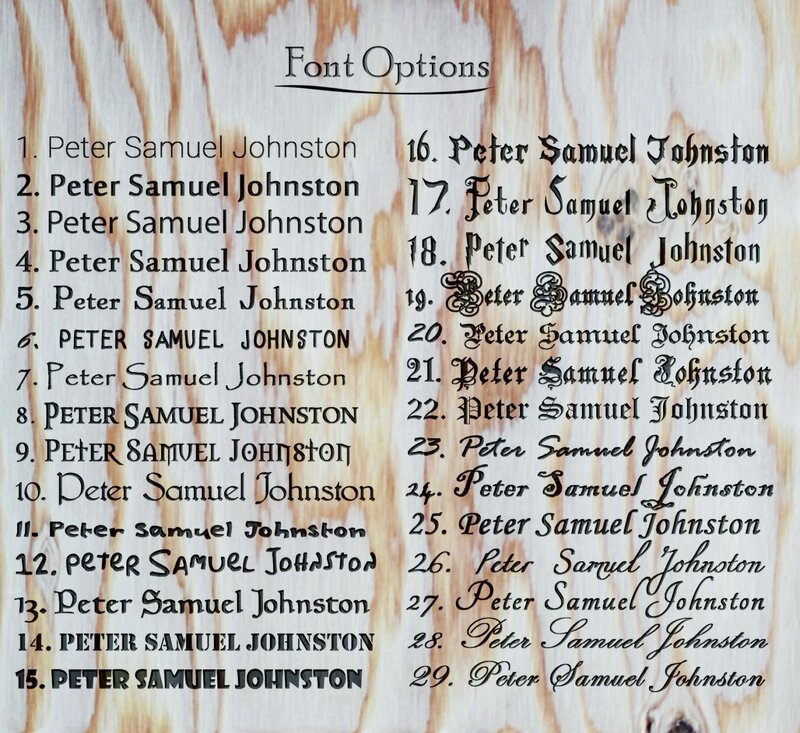 Please select English chestnut (first image) or Ebony (the remaining images) stain for your book and include your choice along with your image in a message to me during checkout. If you would like another engraving fill colour (other than white) please also include this in your message. Each book comes with your choice of cardstock, cardstock overlaid with clear acid free plastic sheets, or archival quality acid free 8.5" X 11" photo pockets. 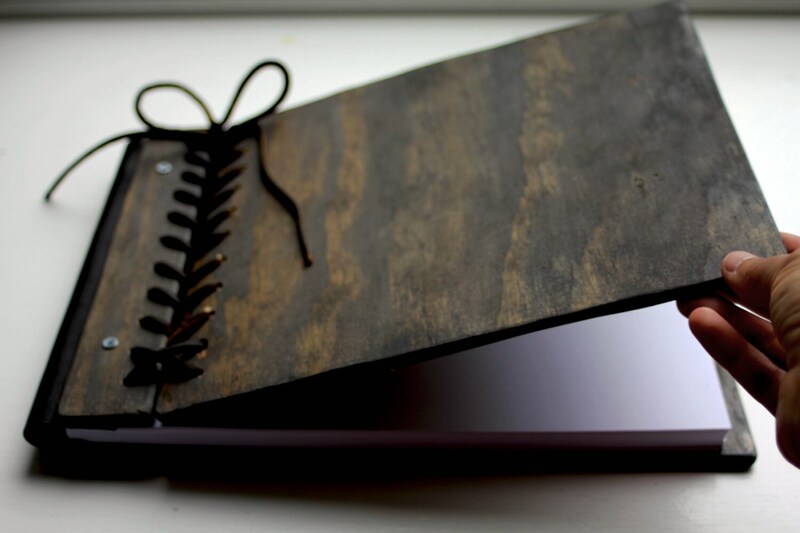 The outer dimensions are approximately 9"H X 12"L. This custom book is made with a hinged back cover so the pages lay flat when the book is opened for better viewing. The Photo album was much better than I could have hoped. Tylir was amazing to work with and responded to messages promptly. Her ideas were essential to creating the perfect gift for my wife. I loved that the photos are painted on to the front and back covers. I would absolutely recommend that anyone looking for a hand crafted item work with Tylir and see what she can do for you. The quality and detail of this book is amazing. Anyone who purchases will not be disappointed. The recipient was in tears when she received it. Thank you! !